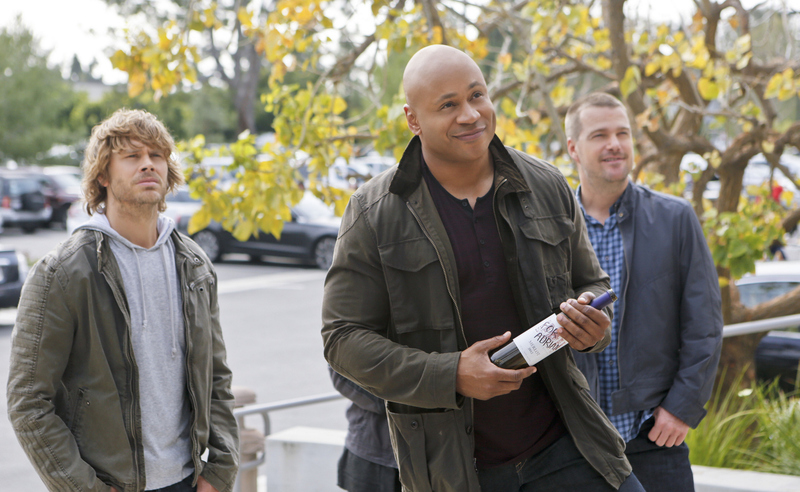 Pictured: Eric Christian Olsen (LAPD Liaison Marty Deeks), LL COOL J (Special Agent Sam Hanna) and Chris O'Donnell (Special Agent G. Callen). When the NCIS: Los Angeles team investigates a case involving a former marine who is being tracked down by members of Al Qaeda for embezzling money from Iraq, Hetty assigns Nell to join Deeks in the field, while Eric is given a new partner in Ops, on NCIS: LOS ANGELES, Tuesday, April 8 (9:00-10:01 PM, ET/PT) on the CBS Television Network. Photo: Monty Brinton/CBS ©2014 CBS Broadcasting, Inc. All Rights Reserved.